The world is increasingly global. Yet increasingly local. Global markets and the internet rapidly delocalise so many aspects of everyday life, yet the question of place, rather than going away, seems to become more and more important. People now live somewhere and nowhere, creating fluid webs of relationships that relate to a wide variety of places. The place where I ‘live’ may be only one in a portfolio of places that make up my sense of place, my experience of belonging. Whilst this is the experience of many in their day to day lives, the yearning for an enduring sense of belonging perpetuates. 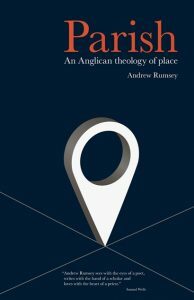 Andrew Rumsey has written an excellent book on the theology of place. Writing as an Anglican and parish priest he explores the concept of place from this perspective. 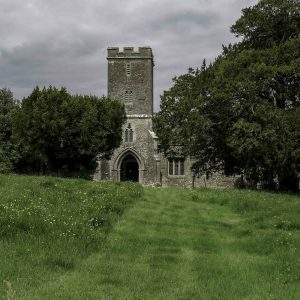 Parish is a word that, for Anglicans in particular, is synonymous with the particular relationship that the church in this country has with place. But, as Rumsey helps us see, it is relationship that is not as fixed or defined as we might think. For a start the word root of parish, the Greek word paroikia is the word translated ‘stranger’. It occurs 3 times in the NT including in the story of the road to Emmaus. The two disciples ask the man who has joined them whether he is a ‘paroikia’ that he apparently had not heard of the events in Jerusalem in the past few days. Paroikia then is a word that refers to the stranger and ‘resident alien’. In Graeco-Roman society paroikia referred to those who didn’t belong, those without citizenship, or those beyond the bounds of the city wall. It was this term that the church adopted, rather than invented, as it began to organise and find its place in societies in which it took root. So parish is a word that really encapsulates on ongoing dialogue between the sacred and secular, between the church and its social context. Initially parish represented the relationship between a Bishop and an area more akin to what Anglicans would now call a diocese. It was that area, relating to a minster or cathedral, which then gave a wider context for engagement in mission. It wasn’t until the Reformation, as the relationship between church and state changed significantly, that parish became the more solid, legal and administrative reality that the ‘parish system’ is very much the legacy of. In the 20th century that began to change with the reforms encouraged by Archbishop William Temple that shifted much of the local administration that parishes were responsible for toward national institutions, including the welfare state. Yet the deep and enduring nature of the parish, particularly in rural areas, means that it has a huge legacy for our identity, organisation and attitude to the place in which we are the church. The key point then is this – that the parochial system is but one of any number of relationships that the church might have with the place in which it is set. Parish is a highly adaptable concept. 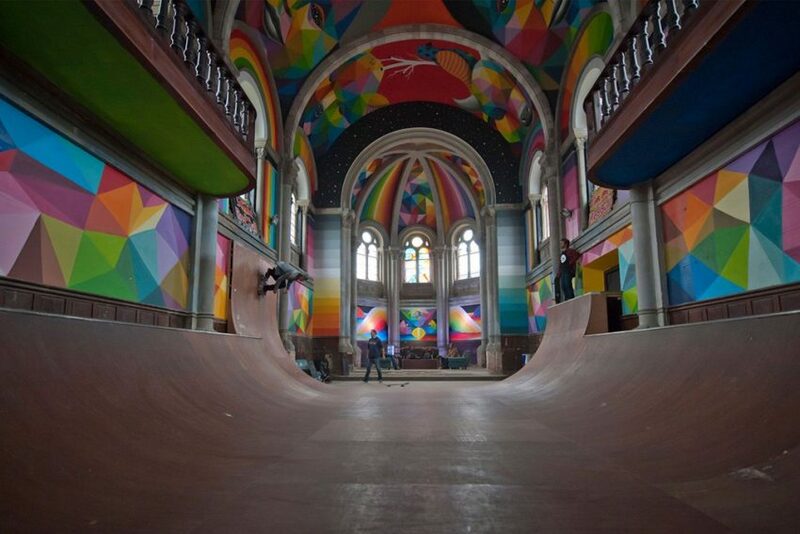 And, if we can get back to the word as signifier of a conversation between church and context, rather than a ‘settlement’ or an established form, it may yet still have value in enabling new and creative ways in which church and place relate. And what might reforming parish around its original meaning of ‘stranger’ or ‘resident alien’ mean for relationship with place? After all aren’t we all ‘resident aliens’? Crucial to this conversation is the role of pioneers. 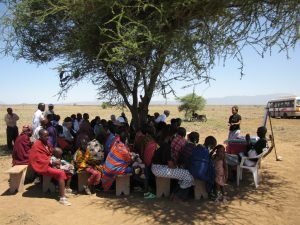 The global church constantly reminds us that church does not have to look like the traditional church of the west – it is underground communities meeting in people’s homes, it is pastoralist tribal people meeting under the shade of a tree. Likewise history reminds us that there have always been those who innovate new forms of relationship between church and place. Rumsey argues that the church guilds were a medieval fresh expression of church, created in response to the limitations of parish as new networks and communities formed in the growing commercial centre of London. It is pioneers that have been prepared to let go of enduring and therefore assumed forms in order to allow new expressions of this important dynamic between church and place to take shape. This is a live conversation in which the voice and experience of pioneers needs to be heard. Mission is not only the mother of theology, it is also the mother of ecclesiology. The new communities emerging from the work of pioneers in our era are helping explore further the question of what form the church can take in relation to place. We are perhaps at a new point of reformation in the history of the word ‘parish’, when one enduring expression of that word is being stretched to its limit. Pioneer ministry within any tradition, not just the Anglican tradition where this particular expression of ‘parish’ grew such deep roots, needs to have a critical role in enabling the whole church to reimagine its relationship with place.